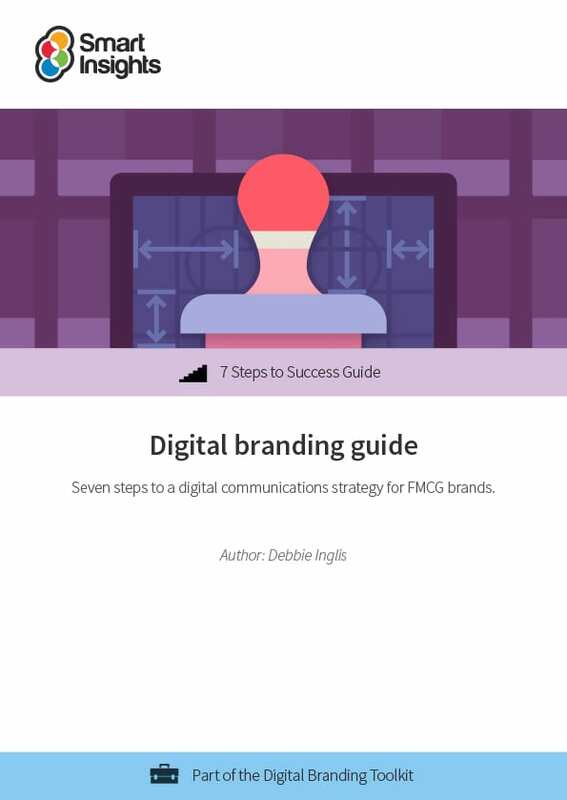 This guide will give you guidance on how to create a Digital brand communications strategy focusing on examples of FMCG Brands, however the principles of online branding applying to other businesses too. This guide will provide you with guidance on how to develop a digital communications strategy based on PR Smith's SOSTAC(R) and Smart Insights RACE planning frameworks, and specific examples and advice on tactics. We believe that digital brand development doesn’t get enough attention. Ultimately, competing successfully using digital marketing involves creating a more compelling brand in the eye of the consumer. But how do you develop a digital brand strategy? The fundamentals of brand-building and brand equity development are still relevant, but we need to create new forms of brand value through online content and experiences. 1. If you have a background strongest in technology or digital marketing but without a grounding in classical marketing, branding and communication strategies. Digital marketing or Ecommerce managers may be in this category. 2. Your background is in branding but you don’t have a deep immersion in the digital marketing techniques covered in other Smart Insights resources. Brand planners and product managers often have this background. The examples in the guide focus on Fast moving consumer goods (FMCG) brands, but the techniques for brand development covered can be applied to other types of business as well. Debbie Inglis is a strategist and brand planner with many years’ experience building consumer brands, based on strong consumer insights. Debbie lives and breathes brand and business challenges, blending right and left-brain thinking to develop creative solutions. Some of the great brands Debbie has had the pleasure to grow include Yeo Valley, Clarks, McCoy’s crisps (UB), Appletiser (SABMiller now owned by The Coca-Cola Company) and Cadbury’s Chocolate Fingers. Guidance on how to develop a digital communications strategy based on PR Smith’s SOSTAC(R) and Smart Insights RACE planning frameworks. An understanding of how brand perception can be shaped using the established strategic approach to brand-building and what can be done to enhance your brand image. A detailed review of brand development in the new digital world relevant for the FMCG brand marketer. Advice on how to implement best practice communication strategies within an FMCG organisation, so as to facilitate collaboration that will help all develop their digital marketing abilities. Examples of how savvy brands are using digital marketing in integrated campaigns including food, drinks, dairy, pet food and sportswear brands. Brand Storytelling guide – This practical guide will help you understand the fundamentals of creating brand stories for PR, branding, advertising, sales and general marketing. Example digital marketing plan – our members asked us for example plans – you can now download this example to help get an idea of how your plan should look. RACE Digital Marketing Qualification – the first unit in this course gives a video introduction to the RACE planning process.